Charter Bus Omaha, NE. 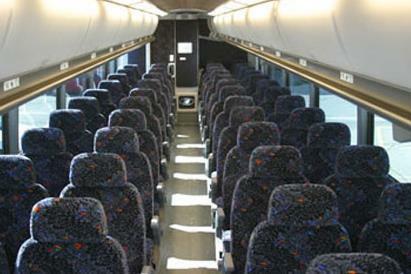 When you need a charter bus in Omaha, NE, you can find the perfect here! Choose ground transportation from the biggest fleet of coach bus rentals, mini buses, shuttles & sprinters in Omaha. 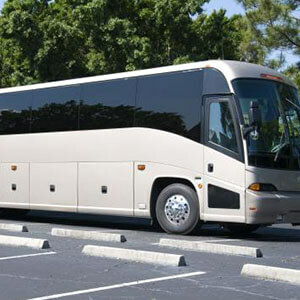 No matter what you need bus rentals for, our booking service will help you discover the best bus rental for your group. 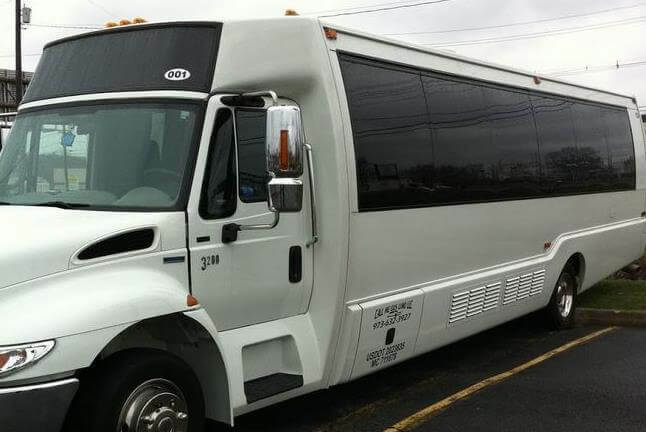 From Omaha tours to weddings, charter bus rentals are the ideal solution for driving large parties! 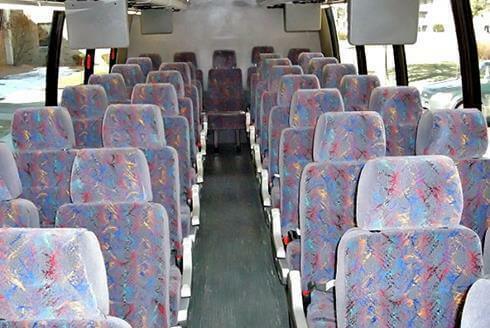 Our fleet of bus charters includes a bunch of different makes & models with seating capacities are certain to satisfy you and your company. Let a knowledgeable chauffeur pick you up and hit the road today! Contact us today and receive a worry free quote, or reserve online and take advantage of our cheap bus rental rates! Party hard in Omaha NE charter bus with your family or friends as you hit some of the best spots in the city. Omaha, NE is the place to be when you're celebrating a special occasion! Get out for a night on the town with your favorite people, and make sure you rent a party bus to catch all of the action in style. Omaha has many wonderful sights to see. The Henry Doorly Zoo was ranked the second best in the country, and Joslyn Art Museum features the state's largest art collection. Hungry? You might be surprised by some of the worldly flavors in Omaha's eateries. Mother India (68105) serves up the best curry around, and Laos Thai Market (68107) offers incredibly authentic Southeast Asian dishes. When it's time to throw them back, check out the nightlife at awesome spots like Krug Park (68104), Slowdown (68102), and the Waiting Room, one of the best places to see live music in town. Omaha has some of the coolest and most unique watering holes in all of the Midwest, so don't miss out on any of them. If you have a place in mind located out in Council Bluffs, Bellevue or Papillion, don't worry your driver will have no problem getting you there! Omaha, NE is fun no matter what, but nothing compares to seeing it from the windows of your party bus. This premium mini charter bus service is a cornerstone of Omaha transportation and has grown to be the area's premier rental company. The charter bus prices will leave your bank account intact, and we never skimp on quality or amenities either. You've been patiently waiting for this event for a good long time, don't pass on the chance to make the night really wonderful. You will be nothing but smiles from start to finish as you enjoy the company of your friends and the surrounding attractions. You have put the work into planning this special occasion, why should you have to be the one to sit out and stay sober in order to drive everyone else around? With our service you are part of the fun. Night outs around the town are always good fun, but it will be more hassle than it is worth whenever you're worrying over driving and navigation. But with a mini charter bus to haul you around all night, you won't have to worry about a thing. Enjoy the party to the max knowing that you're well taken care of. No arguing about who must be the sober driver! 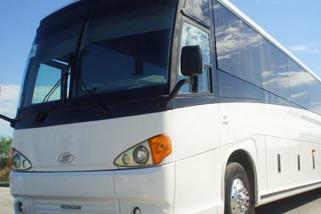 You will find the latest and greatest gadgets and features with our array of quality party buses, shuttles, and limos. You'll be cruising in a celeb-worthy ride, the bouncers of all the exclusive clubs will wave you right in. All eyes will be on you and your crew when they see you pull up in an Omaha shuttle bus. Having an adventure in Omaha NE limo bus is a thing that you should really try, so do not miss out the chance for an amazing night. Do not forget your camera, this will be a thing that you'll want to remember. Celebrate with true class and style. You only live once!